John Blood’s first symphony was broadcast by the BBC, with the composer conducting, whilst he was still a school boy in Nottingham. In 1970 he went on to study composition for four years at the Royal Academy of Music with Norman Fulton and Roy Teed where he won the Eric Coates Prize for composition. After leaving the Academy he continued composing supplementing his income with various jobs ranging from spotting suspicious applications at the Passport Office, furniture-moving, sending expensive books to the landed gentry from Hatchards and even working as a film extra. He was involved with the inception in 1979 of the British Music Society which led to the composition and performance of many works for their early concert series including Sonatina, Nor’wester Caprice, Dark scenes of winter and From a Railway Carriage. After help from Eric Crozier and Lady Bliss in 1979 in securing a grant from the Performing Rights Society he was able to write the ballet Little Boy Lost and the concerto for trumpet, oboe and strings, Boreas which was subsequently performed by the Repertoire Orchestra conducted by Ruth Gipps. Music for St Ives (Brass quintet) was commissioned in 1981 for the St Ives Festival in Cornwall and he has received commissions from many other groups including Brio Brass, the Viente Ensemble, the St Neots Festival and the Hawkshead Summer Music Festival. Bacchanale for 16 horns was commissioned for the 1985 Stratford-Upon-Avon Festival. Esterházy Sinfonietta was commissioned by the London-based Esterházy Orchestra for their inaugural concert in the Banqueting House, Whitehall conducted by the composer and it was later recorded and broadcast by the BBC in 1987, with Vernon Handley and the Ulster Orchestra. The country’s leading virtuoso pianola performer, Michael Broadway, commissioned The Witches of Hawkshead – Tarantella Diabolica which he has played in many concert venues including the Steinway Hall, London and at the 2001 Biennale in Venice. Written in 2010, Dungeness, a big four movement piece for cello and piano, was performed by Nicolas Robinson (cello) and the composer as part of Art in Romney Marsh 2010 and with such success that they were invited back to perform it again in 2011. 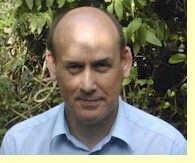 He has worked for many years as an editor for Novello & Co. Ltd and lives in the East End of London with David, his partner of over thirty years. As well as being a long standing member of the London Gay Symphony Orchestra he also loves playing the cello in many other groups and orchestras. He is a happy Tchaikovskyite.